Camilla: Why did you push me through the portal, Chanel? Chanel: I, um, well you know I was . 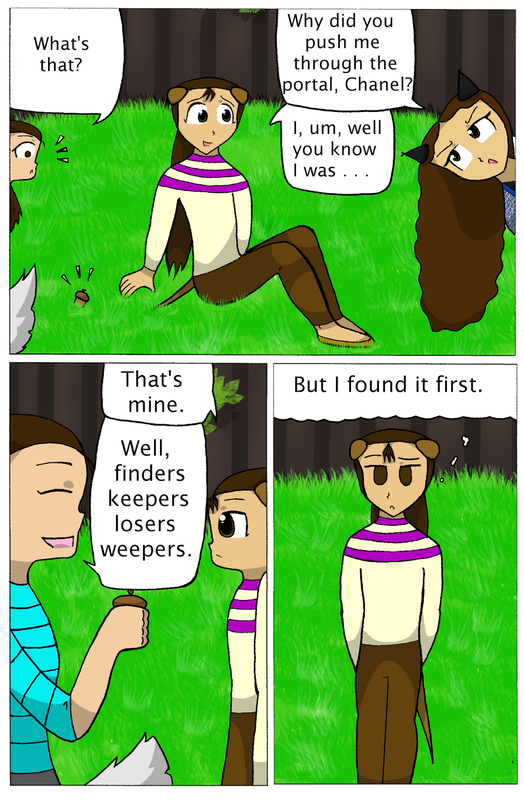 . .
Sarah: Well, finders keepers, losers weepers. Chanel: But I found it first.